The 1848 Deadlock & accessories are designed to fit within very narrow stile sliding door stiles without compromising the high degree of security needed by these doors. • Suitable for use on aluminium and timber doors. • Bolt can be adjusted by 4.5mm to compensate for door and frame mis-alignment. 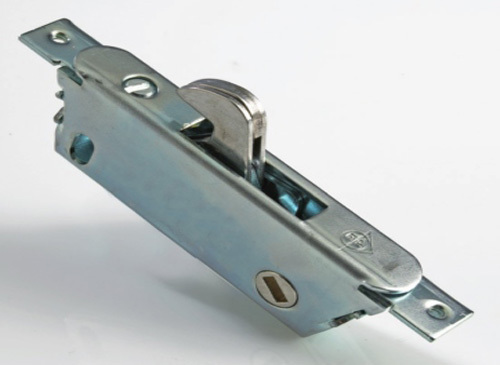 • Used with 4808 strike plate to prevent attempts to lift the door. • Range of turns and 8346 cylinder to provide flexibility of operation. 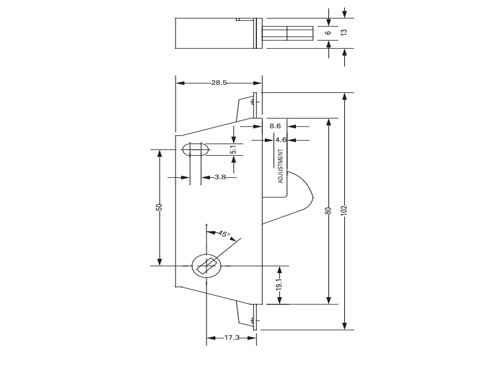 • Self latching version will retract immediately on contact with strike to prevent damage. • Adjustability: A full 4.6mm lengthening or shortening of bolt projection can be made by turning an exposed screw in the face of the lock. This can compensate for a considerable misalignment between door and jamb. • Anti-Lifting: The 3 ply laminated stainless steel hook bolt is designed to withstand approximately ton of the force vertically or horizontally, thus protecting against jamb/door attack. 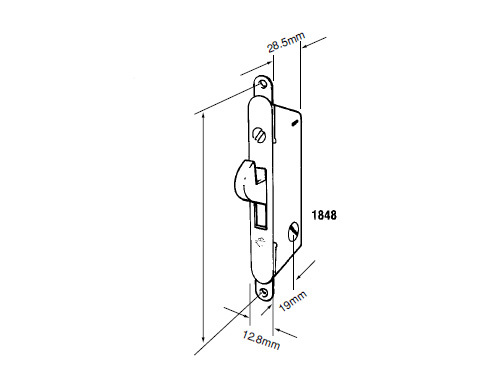 “Cancel on impact” sliding door or window hook dead bolt with two hole recessed fixing.